Lamb, apricot and fennel seed lollipops with a spiced tomato and apricot relish. - home cooked food delivered. A spin on a classic kofta, the addition of fennel gives a spicy, bold aromatic flavour. Lamb mince, Dried apricots, toasted fennel seeds, free range EGGS, onion, ground tumeric, flat leaf parsley.seasoning. Spiced tomato relish: dried apricots, garlic, fresh ginger, olive oil, cider vinegar, cinnamon stick, fresh coriander, plum tomatoes, soft brown sugar, cumin, cayenne pepper, ground cloves, seasoning. Remove from packaging and place on a baking tray in a preheated oven at 190c for approximatelt 10-12 minutes till pipng hot. Bring spiced relish upto room temperature. 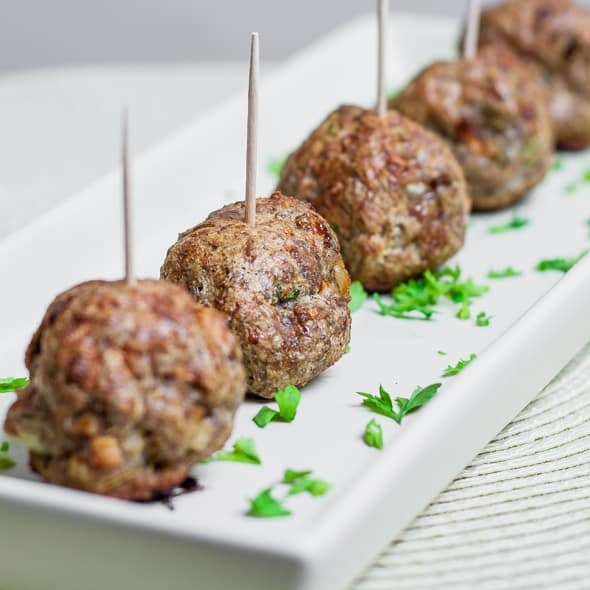 Once cooked skewer the lamb balls and serve..
Keep refrigerated and use with 3 days or freeze the lamb immediately. Do not freeze the relish this can be stored for upto 28 days in the fridge.